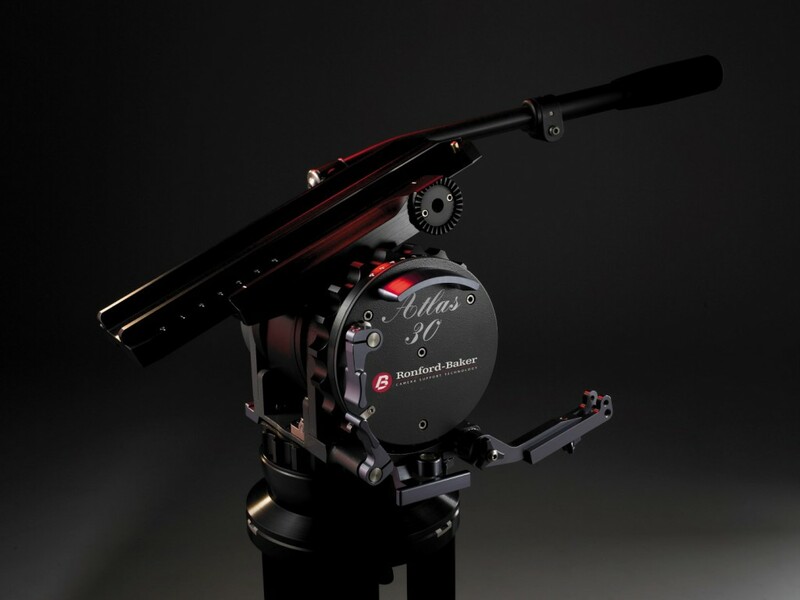 The “Atlas 30″ is a completely new design head, with a patented counterbalance system. 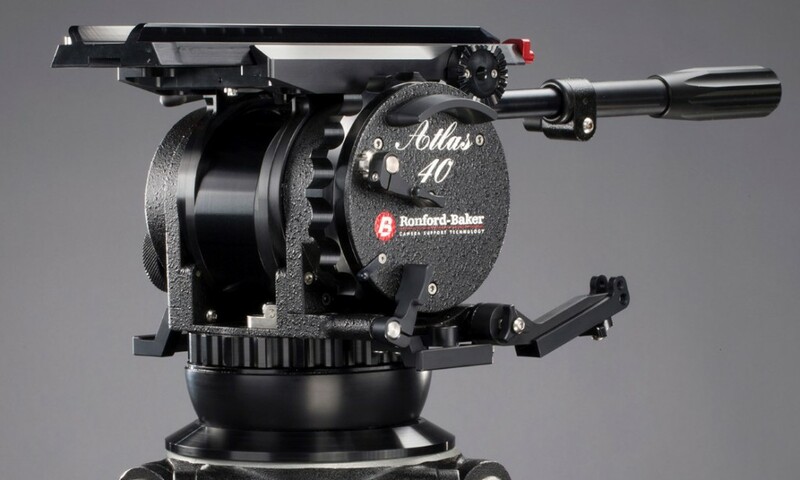 Capable of taking camera‘s up to 30 Kgs (66 lbs) @ 25 cm (10“) above the heads pivotal center. Operated by a single control knob, from 0 – 100 %. Incorporating the well proven Ronford-Baker fluid system, with 7 stages of fluid control on pan & tilt.With a zero (free) position.